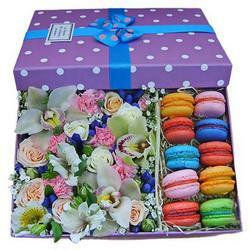 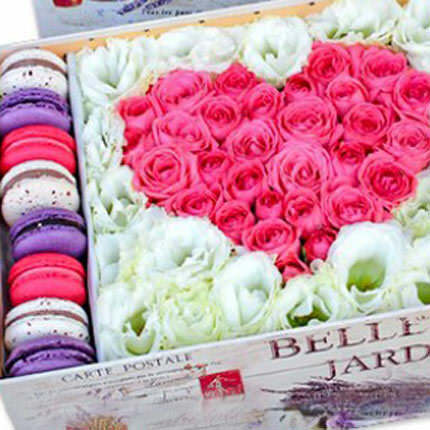 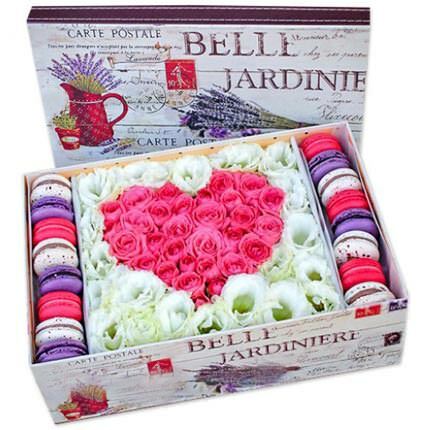 Composition in a box "Gift of Casanova"
Luxury composition of flowers and sweets will win the heart of every woman! 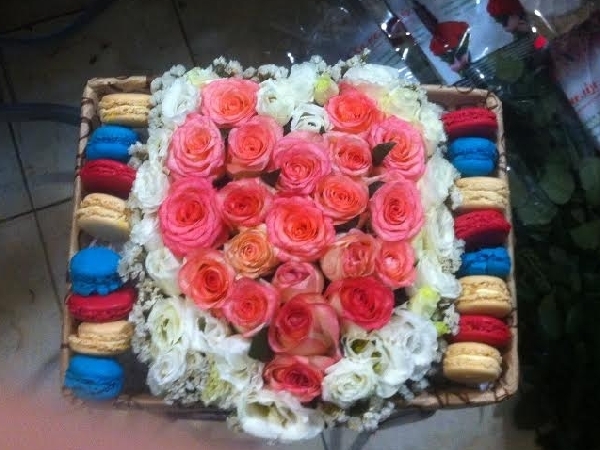 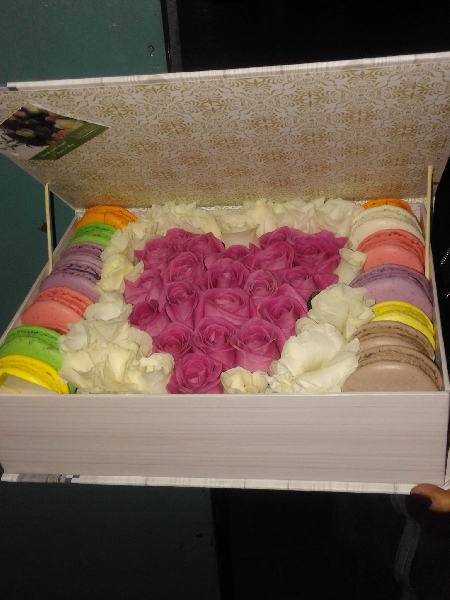 Composition: 25 pink roses, 10 white roses, 10 branches of white eustomas, cookies Macaron - 16 pcs, decorative gift box, floral material. 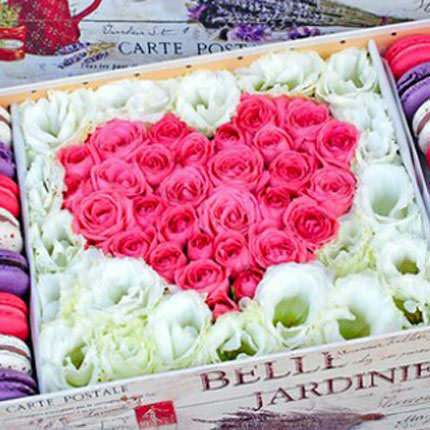 Composition in a box "Dream of a sweet tooth"
Composition in a box "From Paris with love!" 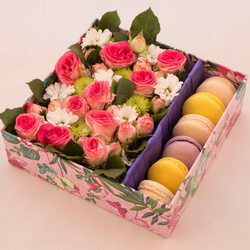 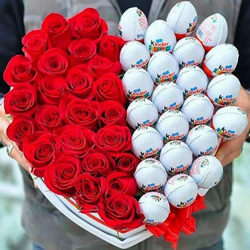 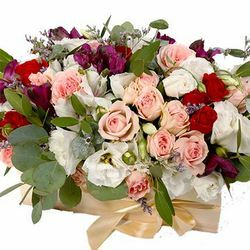 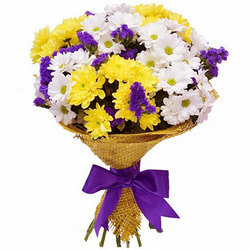 Flowers in a box "Luxury style"
20032019 © Flowers.ua Composition in a box "Gift of Casanova"